Go to any pro or college basketball game in the country and you're likely to see male coaches wearing sharp suits and ties, dressed more for the boardroom than the basketball court. Professional dress is customary among basketball coaches because it helps command a greater sense of authority and respect from their players. However, one man is taking a more colorful approach to the traditional suit and tie. Meet Tom Hodges, head coach of the Morehead State women's basketball team. Taking a cue from pro golfer John Daly's infamous style, Coach Hodges is taking the term "fashion statement" to a whole new level. Hodges was the youngest women's head coach in Division I when he took the job in 2010 and although his team struggled in play, he found a way to get them noticed despite some tough losses. Coach Hodges and his assistant devised an ingeniously simple marketing strategy to attract some much needed attention to the team - dress as outrageously as possible. 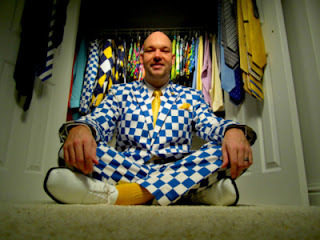 Using Daly's loud style as inspiration, the self-described "conservative" coach contacted Daly's clothing sponsor, Loudmouth Golf, who was more than happy to send the willing rookie a few signature suits. With this momentous exchange, an unlikely media darling was born. "To step out like this, is way outside my comfort zone, but I'm for the betterment of Morehead State and getting us a little piece of the spotlight, no matter what it takes," said Hodges. No, this isn't a joke. Well, maybe it is, but it takes courage and confidence to subject yourself to public ridicule game after game (and in this case, it has nothing to do with the score). You have to respect Coach Hodges' dedication and enthusiasm toward his team despite the fact that it's hard to look at him straight on in those loud, geometric patterns. 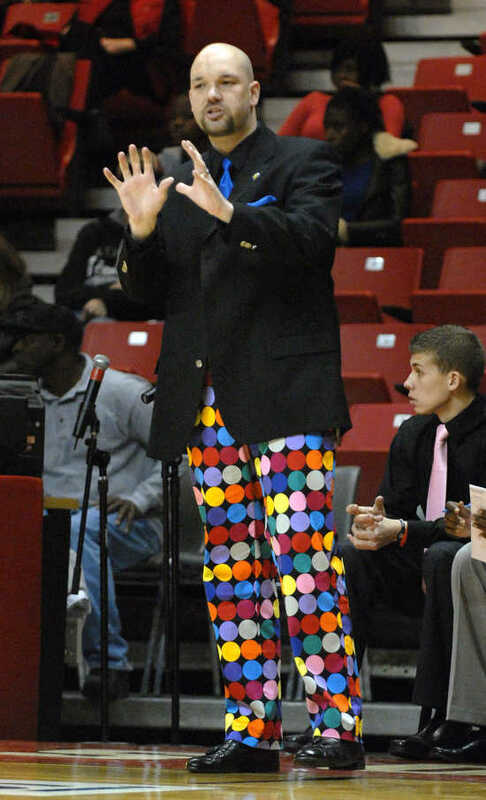 It may not be a fashion win, but this coach proves that although the clothes do not make the man, they sure get people to notice who's wearing them. 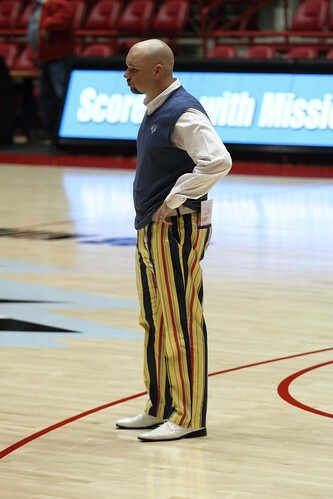 What do you think of Coach Hodges' daring, courtside style? I like the ambition and dedication to being noticed. Not to mention, his obvious appreciation for media attention and coverage to benefit the school. He isn't doing anything inappropriate or lewd, he simply wants to give his team and school 1. something to smile about and 2. to feel like they are in the big time and worthy of it! 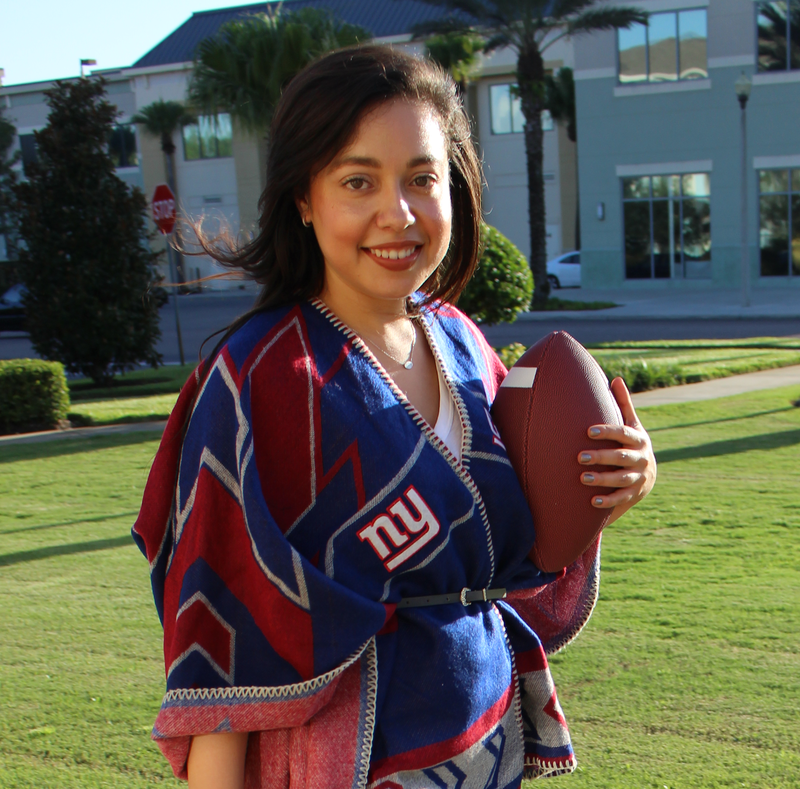 Also, visited the LoudMouth site - not my style, haha but VERY fun! Great, refreshing post - Go MS Eagles!